selling your own copy of this collectible treasure. In attics, old stairwells and circular cellars throughout PTown there are treasures tucked away, long forgotten. Besides rare, vintage photographs and artwork, silver serving pieces, jewelry and other obviously valuable finds, there are items far less conspicuous, but worth a good bit of cash on the open market. 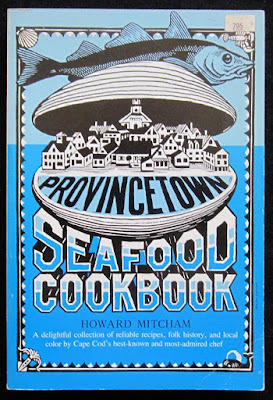 A case in point would be Howard Mitcham's Provincetown Seafood Cookbook. The first printing of the original softcover Addison-Wesley edition back in 1975 is currently offered on eBay at $240. When I searched online I found the price for a used copy was most often nearly double, at $476. One site listed the book at over $1,200, so perhaps that was for a pristine, unread copy. It seems that a first edition hardcover will likely cost you over $7,000, if you can find one for sale. A second softcover edition printed that same year, used, runs $150. 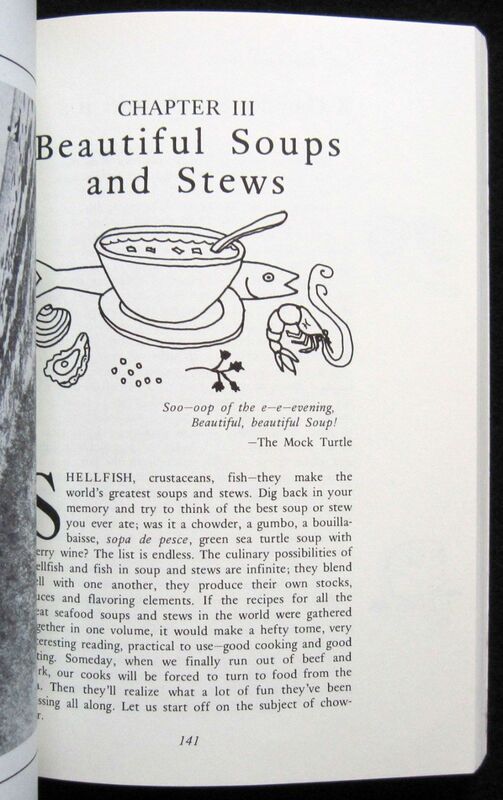 An Amazon blurb says that "this illustrated cookbook combines mouthwatering recipes with fascinating glimpses of history and folklore. Provincetown's best-known chef recounts the development of the town's fishing fleet and offers dozens of Portuguese- and Creole-influenced recipes for Cape Cod seafood favorites." Chapters include any kind of seafood imaginable. Indeed, when I moved from the mountains to the seashore in 1988, I went from frying up a skillet of rainbow trout to wrestling with clams, oysters, lobsters and other fresh, gorgeous varieties of seafood that I'd never had a chance to cook with. I learned how to shuck an oyster, and successfully pulled off cooking my first lobster, my first plate of linguine with white clam sauce, and whipped up my first from-scratch kettle of authentic New England clam chowder, all by reading the Provincetown Seafood Cookbook. 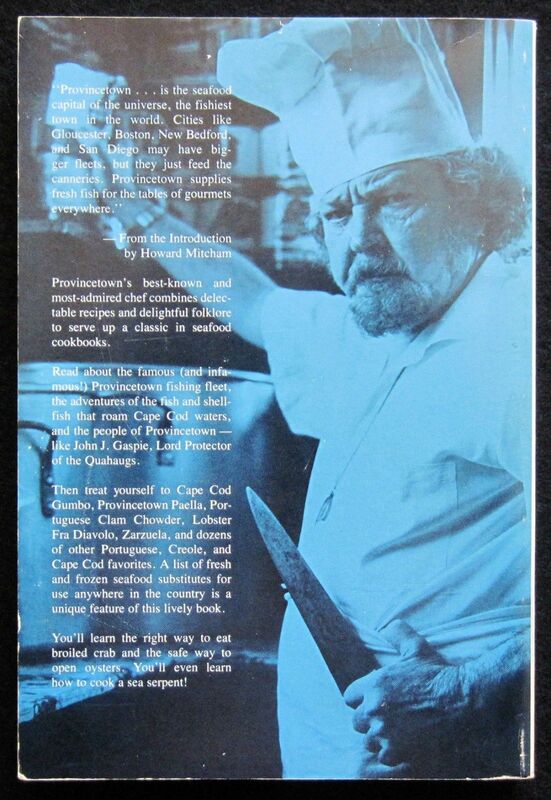 I learned a bit of PTown history and lore at the same time through this highly renowned chef's entertaining stories and anecdotes, which roll across the pages as easily as his recipes and illustrations do. 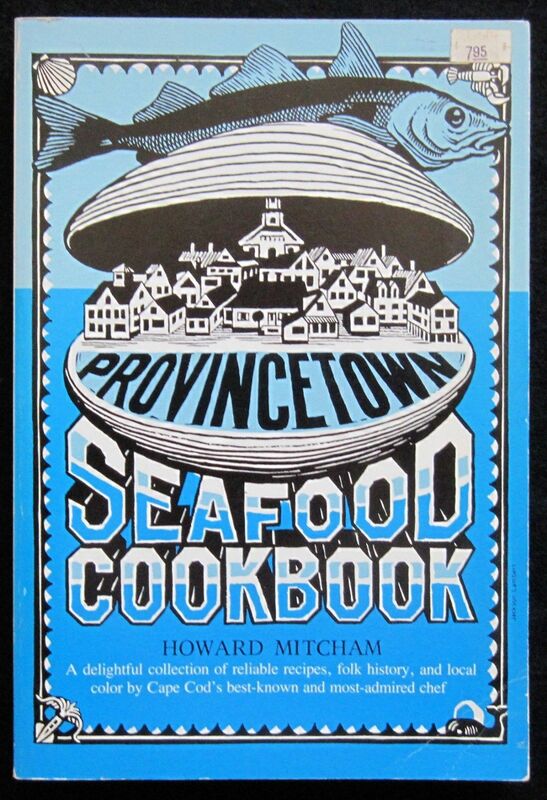 Amazon says "Provincetown's most famous chef, Howard Mitcham (1917–96) is widely considered the first of the celebrity chefs, and his recipes reflect the Creole influence of his second home in New Orleans. Mitcham's co-workers characterized him as 'a true bohemian' and 'a great art lover' and so well read that there wasn't a literary or mythical reference he didn't know." The praise of Mitcham and his book is universal. heritage with stories of fishermen, and a sense of humor. The cover illustration was done by the late, great Jackson Lambert, with line drawings inside done by Mitcham himself. Classic recipes like "Haddock Almondine Meuniere" still hold up, and the right way to perfectly cook a lobster has never been improved upon, so I highly recommend this book, for great recipes and techniques, and for a bit of Provincetown history, as well as some fine, evocative story telling. 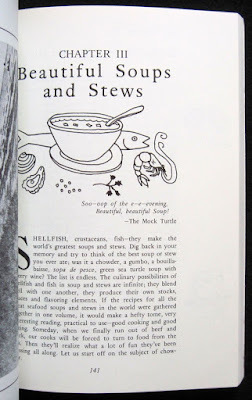 Find the recipe for that haddock, and more stories about the chef, at Food for Thought, a delightful blog written by Heather Atwood, who also pens a weekly column by the same name, syndicated in Massachusetts newspapers. If you want to add this great book to your collection you can look for an older, more valuable one, or search for months, as I did, till I found a lovely, beaten up old copy for 25 bucks. I had given my copy to my in-laws in the early 1990s, and had been looking to replace it ever since. I highly recommend this Provincetown treasure for so many reasons, and you can get it very easily at the Provincetown Bookshop, at 246 Commercial Street, where a new copy of the most current edition (was that 1997?) is $50. That's the best price I've seen in more than two years. You may also find an edition or two at Tim's Used Books, tucked away up the footpath at 242 Commercial. The 1976 edition is currently listed used on Amazon for $150, new for $180, and months ago they announced that they were taking advance orders for the new 2016 edition, with a promised publishing date of April 16th, with a guaranteed, pre-order price of $16.95, to be shipped for free as soon as the new edition is released. I looked for it today online, and can only find various vintage editions, new and used, ranging from $59 to $1200. The folks at Provincetown Bookshop could find no information on a pending new edition. Has it already sold out again, or does it remain out of print? Either way, it's worth your trouble, and a bit of cash, or a look through Grandma's attic, to find yourself a copy for a good read, and some great recipes. Take a look when you walk by a yard sale, and you may run across this genuine taste of Provincetown. Bon appétit!